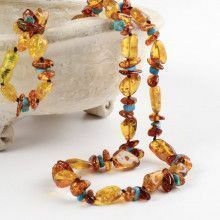 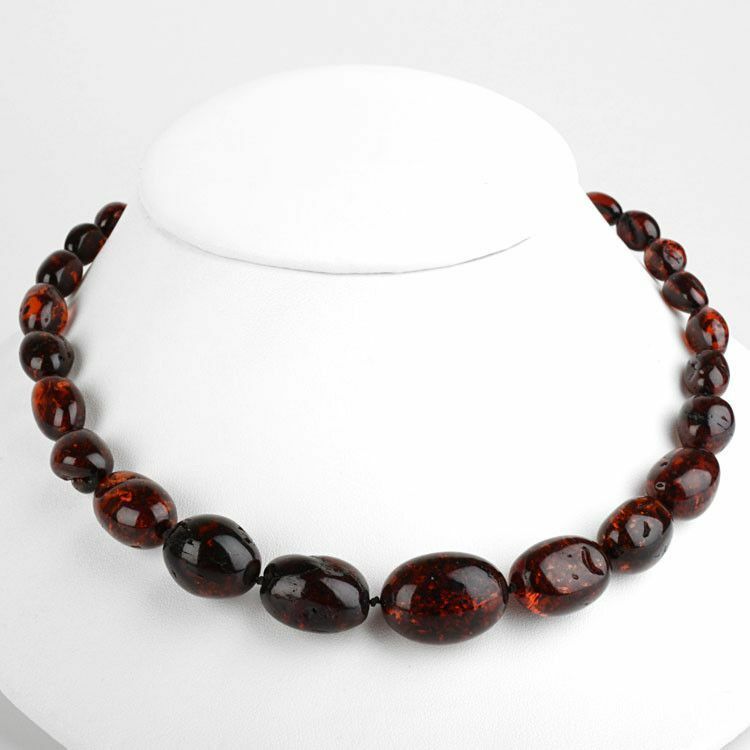 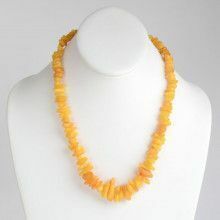 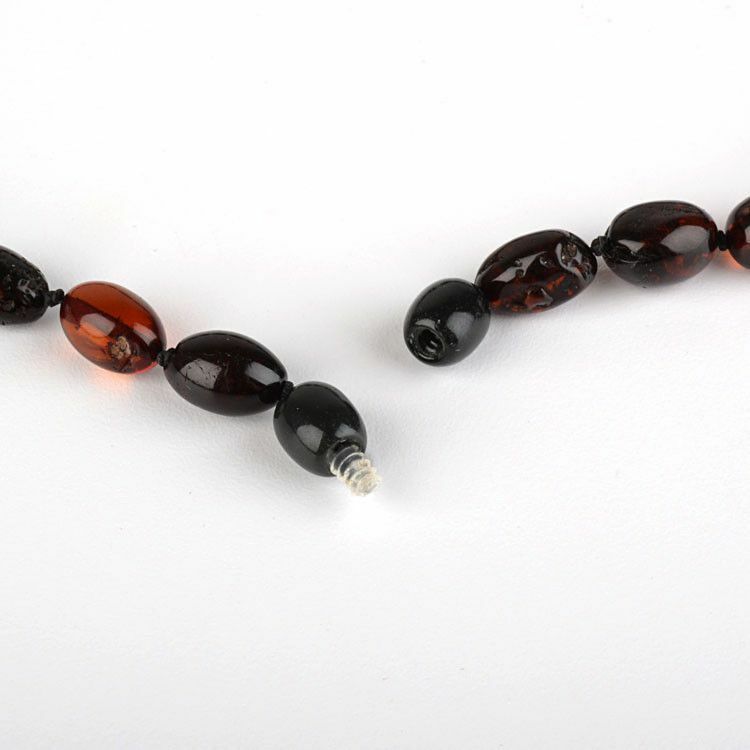 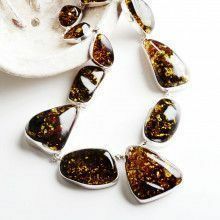 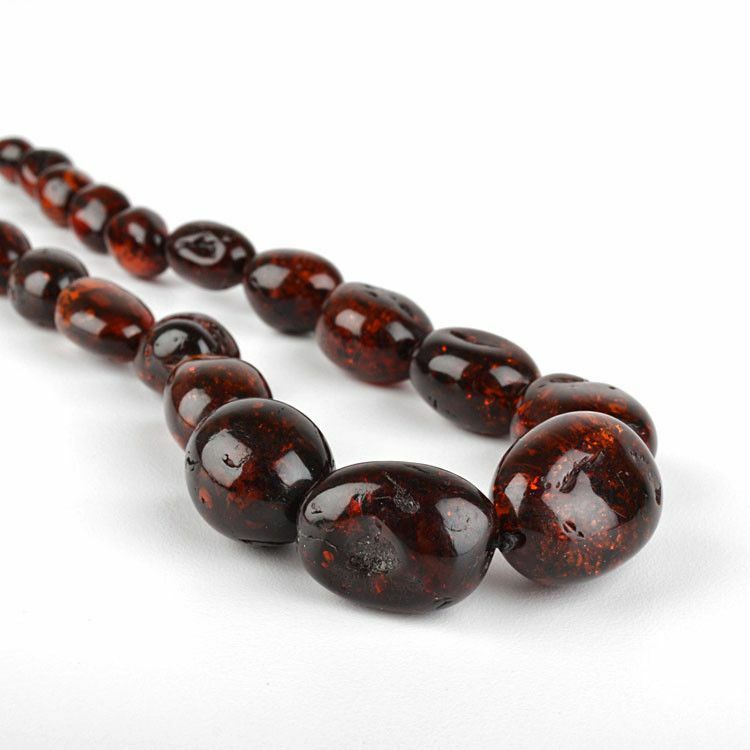 This gorgeous, genuine, hand-crafted cherry amber necklace features semi-polished natural stones from the Baltic Sea in Russia. 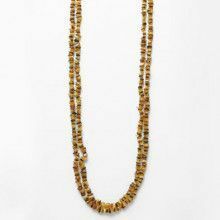 In between each unique stone, the jeweler knotted the string to make this necklace more durable. 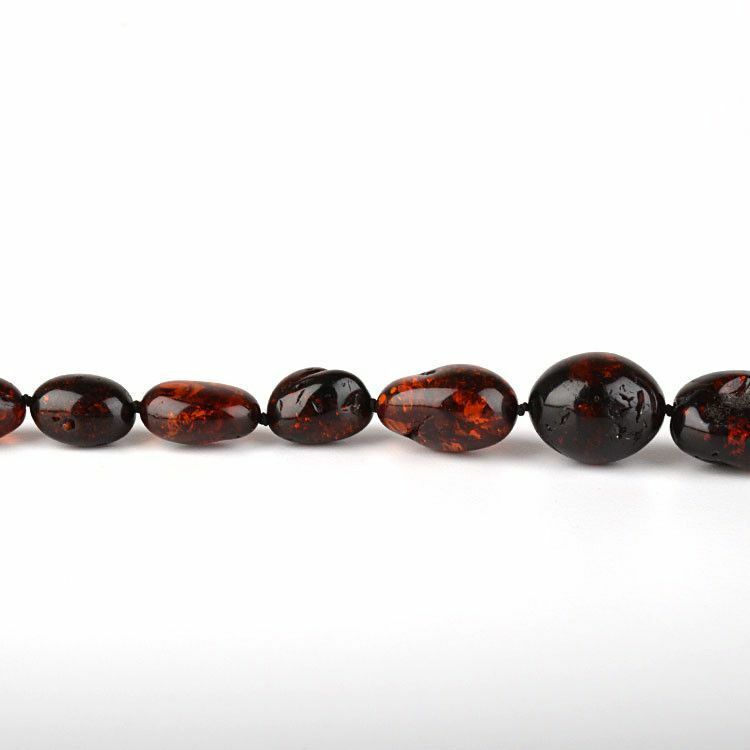 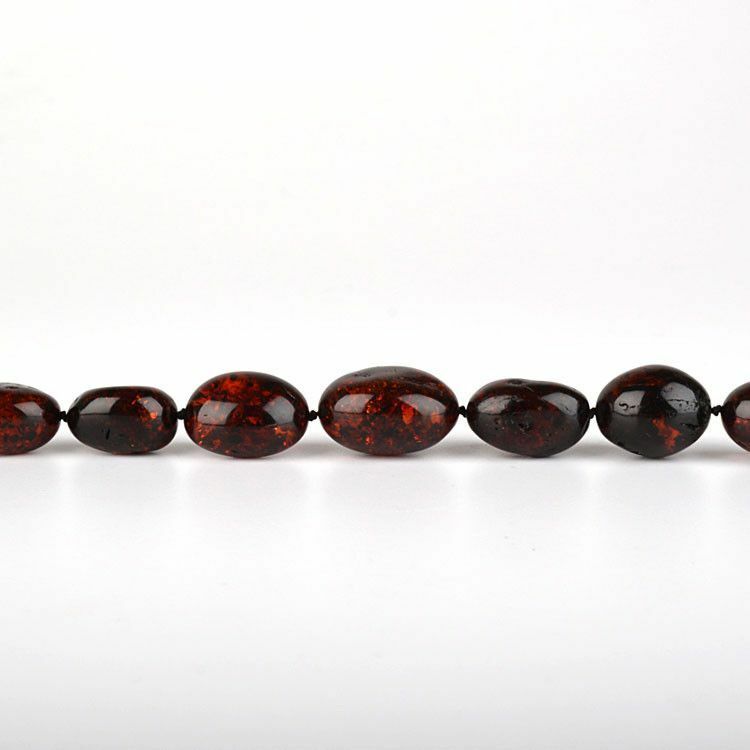 The largest stone in the front and center, measures nearly 1" x nearly 3/4" in size, and the smallest stone measures almost 1/2" x 1/4" in size. 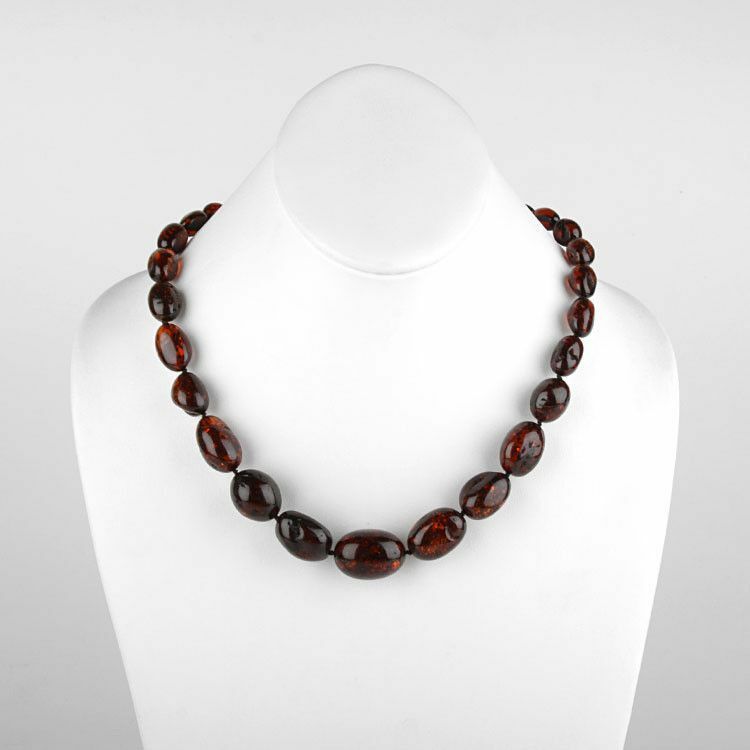 This stunning necklace has a hidden barrel clasp.